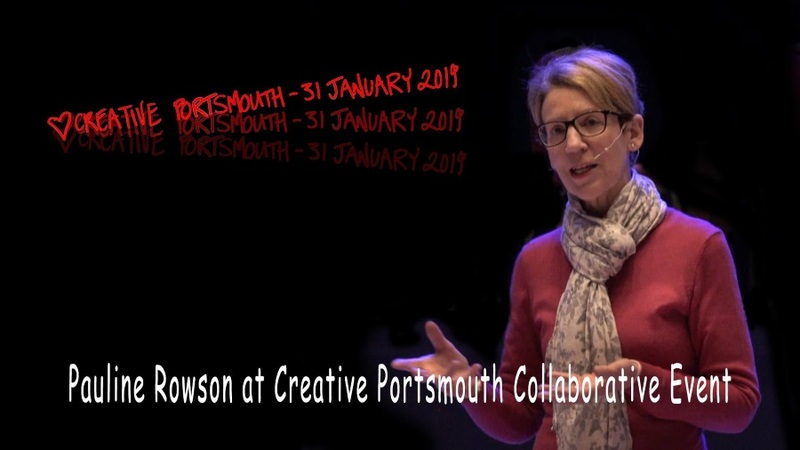 Crime author, Pauline Rowson was a keynote speaker at the Creative Portsmouth Collaborative event on 31 January 2019, a highly successful event which brought together talented individuals from the world of art, literature, photography, film, design and more from all over the city of Portsmouth. 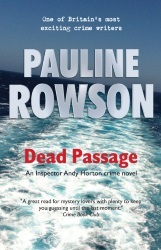 Pauline Rowson is the author of nineteen crime novels, fourteen featuring the rugged and flawed Portsmouth detective, Inspector Andy Horton; three in the mystery series featuring Art Marvik, the former Royal Marine Commando now an undercover investigator for the UK's National Intelligence Marine Squad (NIMS) and two standalone thrillers, the award winning, In Cold Daylight and In For the Kill. The event was introduced by Cllr Steve Pitt, Cabinet Member for Culture Leisure and Sport at Portsmouth City Council and was facilitated by Benjamin Clabon who introduced the keynote speakers: Pauline Rowson, an internationally acclaimed crime author whose popular DI Andy Horton novels are set in the Portsmouth and surrounding areas; James Sharp, Director/ Film Maker at Sharp Film; Professor Trevor Keeble, Dean of Creative and Cultural Industries at Portsmouth University, and Mark Graeme of ilovedust. 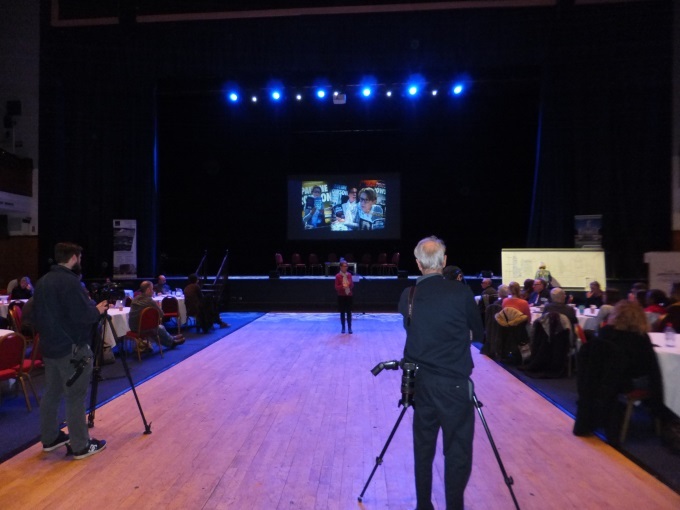 Music during the networking break was provided by James Tattington, Fugitive Orchestra. 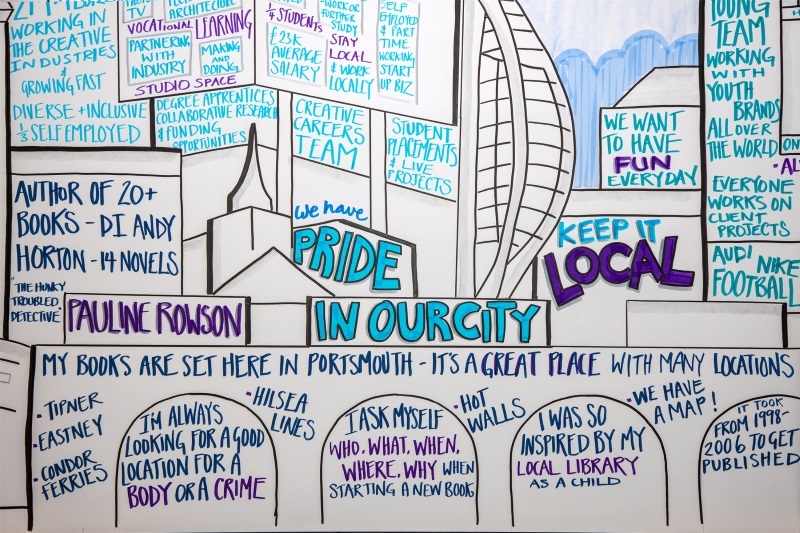 While throughout the morning event artist Emma Paxton of Imagistic drew the graffiti wall and cultural skyline, making sure that the locations of the DI Andy Horton novels formed part of it.